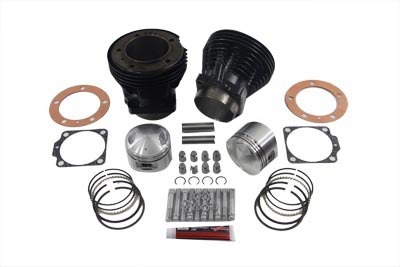 S&S 3-5/8" Sidewinder cylinder kit fits 1966-1984 Shovelhead 84" models. 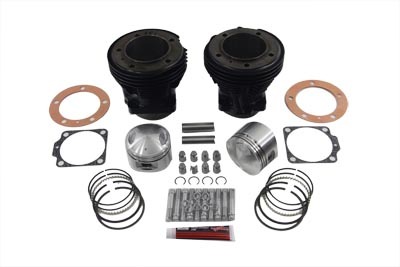 Kit includes front and rear cylinders with stock 5.330 length for 4-1/4" stock stroke, cast pistons with rings which are for a 7.75:1 compression ratio. 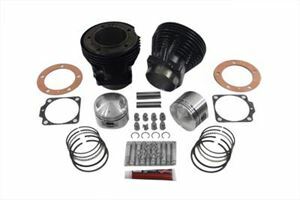 Gaskets, base nuts hand headbolts are also included.